Is there a better alternative to Clarus? Is Clarus really the best app in Home Inventory category? Will Clarus work good on macOS 10.13.4? Clarus... Owning a pet is a wonderful experience. However, keeping track of their important paperwork is not. You probably have folders full of insurance documents, medical records, vet bills, expense receipts and more. Your calendar is littered with little reminders to give a flea treatment or to go to the vet for a checkup. No matter how organized you are, there's always that worry that you've missed something. Well, worry no more. 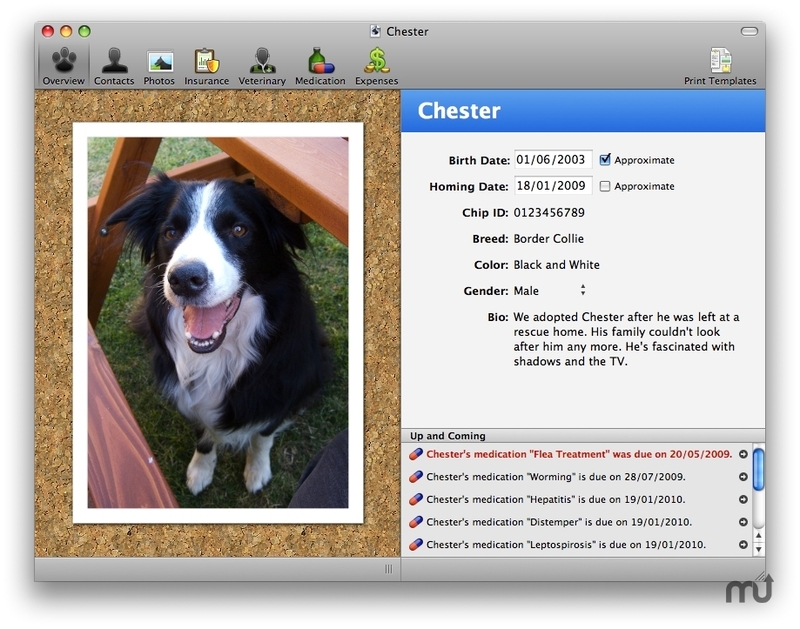 Clarus is a Mac OS X Leopard application designed to manage your pet's life and paperwork for you. New expenses have today's date set. Setting a medication's dose to "Unit(s)" now works correctly. Improved reliability when opening documents. Note: We're in the process of building an iPhone companion app to Clarus, which we'll release later in the year. It will be free to all existing Clarus customers. Sync to your iPhone using the free companion app. Manage your pet's life in one place. Never spend an afternoon searching through a folder of paperwork for that insurance policy number again. Integrated with Address Book, AppleScript, iCal and QuickLook to ensure your pet's important information is never far away. Localized in English, Francais, Espanol and Deutsch.